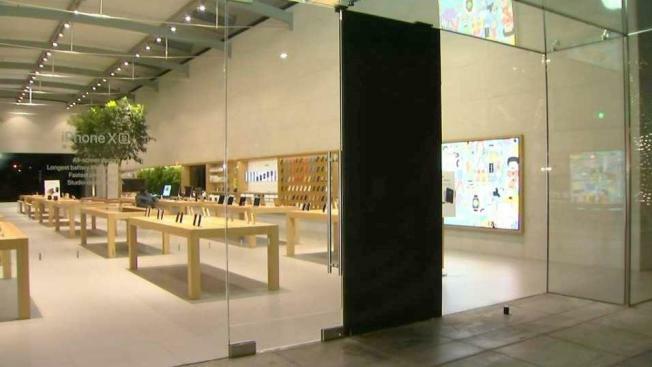 Thieves busted into an Apple Store in Palo Alto early Wednesday morning and escaped with seven laptops valued at nearly $12,000, according to police. Two unidentified suspects wearing masks and gloves grabbed nine laptops from the store located on University Avenue, but they dropped two as they fled the scene, police said. The two dropped laptops were returned to store personnel, according to police. Police said the suspects were in and out of the store in about 20 seconds. Surveillance footage has been reviewed, but there are no still images that help in identifying the suspects, according to police. Police said the store has been hit by thieves multiple times over the past 12 months.